University of Wisconsin–Madison professor of chemistry Bassam Shakhashiri is the recipient of the 2018 Grady-Stack Award for Interpreting Chemistry for the Public. The American Chemical Society announced the award, adding Shakhashiri’s name to a list of recipients that includes Nobel laureates and renowned journalists and authors. Shakhashiri, a past president of ACS, may be best known for his live chemistry shows — such as the annual “Once Upon a Christmas Cheery in the Lab of Shakhashiri,” now 47 years old and televised around the country — that delight curious minds of all ages. Alongside more than 1,500 presentations and lectures, he has put in decades of tireless advocacy for quality science education in formal and informal settings. 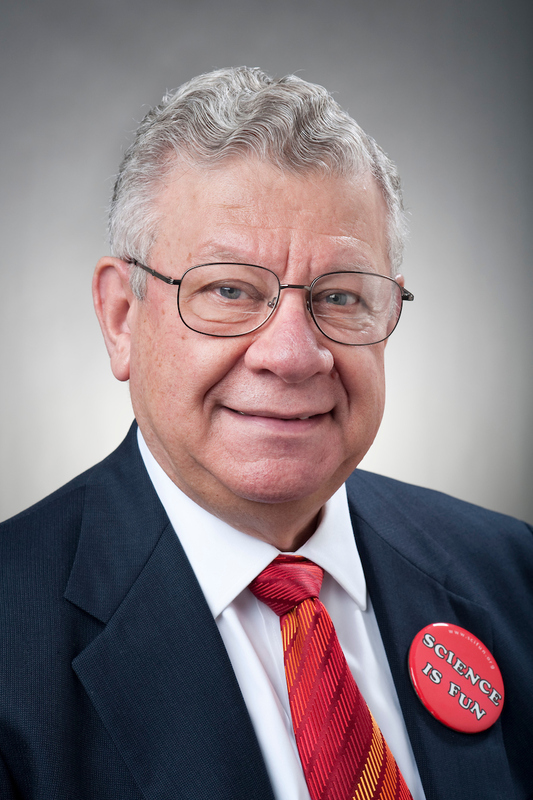 Named to the first William T. Evjue Distinguished Chair for the Wisconsin Idea at UW–Madison in 2001, Shakhashiri has won awards for teaching at his first faculty home, the University of Illinois, and UW–Madison, where he has taught since 1970. He founded the Institute for Chemical Education and the Wisconsin Initiative for Science Literacy, and served as assistant director for science and engineering education at the National Science Foundation. Shakhashiri’s accolades read like an exhaustive list of awards honoring science outreach: the ACS’s James Flack Norris Award for Outstanding Achievement in the Teaching of Chemistry, George C. Pimentel Award in Chemical Education and Helen M. Free Award for Public Outreach; the American Association for the Advancement of Science’s Award for Public Understanding of Science and Technology; the National Science Board Public Service Award; the inaugural Emerson Science Advocacy Medal; and the Carl Sagan Award for Public Understanding of Science. The Grady-Stack Award is a fitting addition. Established in 1955 and named for James T. Grady and James H. Stack, two former managers of the ACS News Service, the award recognizes outstanding reporting to the public that promotes understanding of chemistry, chemical engineering and related fields. Previous recipients include Roald Hoffmann, winner of the Nobel Prize in Chemistry in 1981, science fiction author Isaac Asimov, and actor and science communication advocate Alan Alda. Former UW–Madison journalism Professor Deborah Blum won the Grady-Stack Award in 2015. In 2010, Ron Seely, then a Wisconsin State Journal reporter and now a UW–Madison journalism lecturer and contributing writer to the UW–Madison-based Wisconsin Center for Investigative Journalism, won the award. The Grady-Stack winner receives a medallion and $5,000 prize.